Thursday, December 27, 2018 at 10:30 a.m. When magician extraordinaire, Justin, visits Sesame Street to put on a magic show for the whole neighborhood, Elmo wants to be part of the big event. But there’s one problem…Elmo doesn’t know how to do magic! That’s when Elmo teams up with Abby and Justin, embarking on an amazing journey where Elmo will discover the “power of yet” – the lesson that with perseverance and practice, nothing can stand between you and your dream. 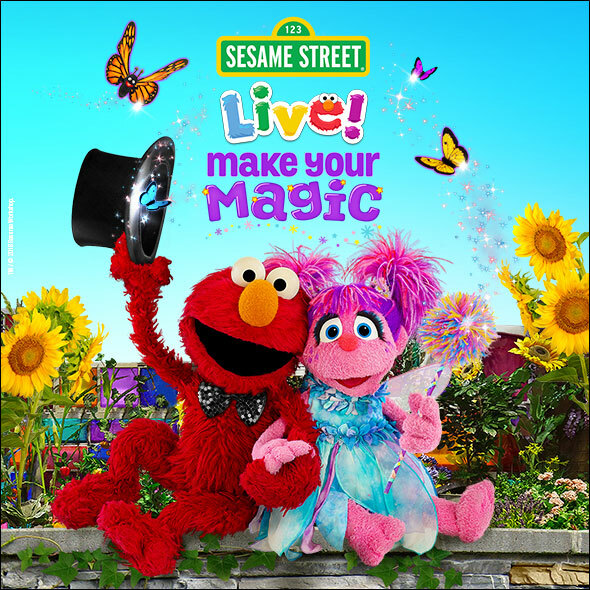 Along the way, Elmo and Abby, joined by their friends, Cookie Monster, Big Bird, Grover, Rosita, Count von Count and Gonger, discover the many magical moments in everyday life. Venue Presale: Thursday, June 7, 2018 at 10:00 a.m. – Monday, June 11, 2018 At 11:59 p.m.
On Sale: Tuesday, June 12, 2018 at 10:00 a.m.
Pre-sale tickets will be available online only at Ticketmaster.com with the pre-sale password. To receive the pre-sale password, please sign up for our free email distribution list at https://bit.ly/2nYHtZ8 by Wednesday, June 6, 2018 at 11:59 p.m. Tickets on sale to the general public will be available at Ticketmaster.com, Ticketmaster by phone 1-800-745-3000 or in person only at The Dow Event Center Box Office. Walk on stage and experience Sesame Street – everyone’s favorite street! Meet & Greets are approximately 30 minutes prior to the show. Please arrive 70 minutes ahead of the scheduled show time. Please note, all ticket holders – both adults and children 1 year of age and older – are required to purchase a Meet & Greet ticket in order to attend. 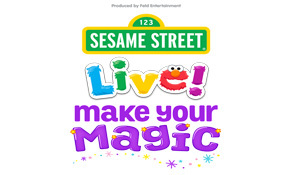 Tickets to the Meet & Greet are available only with the purchase of a show ticket to Sesame Street Live! Make Your Magic. *Prices vary by seat location. Prices are subject to change based on supply and demand. *Everyone 1 year of age and older is required to have a ticket. Children must be accompanied by an adult. *Costumes are not permitted for guests 14 years of age and older.